It’s fabulous to have Alex London back on the site today, talking about the rise of queer YA SFF to celebrate the launch of his incredible new gay YA fantasy, Black Wings Beating! I don’t write portal fantasy, but I know that every book is a doorway to another world, and for queer teens, for a long time, the other worlds our fantasy books took us into were shockingly straight places. Fantasy authors—with a few exceptions—it seemed, could imagine vast histories and geographies, monsters and magic that defied the real world’s paltry science, yet could not imagine a place for queer people. When I published my first sci-fi YA novel (Proxy, 2013), the imaginative fiction space in mainstream YA didn’t have a lot of queer heroes in it. There was Perry Moore’s superhero coming-out story, Hero, and there was Malinda Lo’s f/f Cinderella retelling in Ash and Huntress. Coda by Emma Trevayne came out around the same time as Proxy, but the bi main character’s identity slipped ‘under the gaydar’ in a lot of descriptions of the book. At that point you also had some amazing secondary characters in Cassandra Claire’s Mortal Instruments series, and in Holly Black’s Tithe; but main characters were still in short supply. Mercedes Lackey had written The Last Herald Mage series in the late 80s, which had a gay male lead, but I hadn’t heard of it at the time. It wasn’t enough for the books to exist; they were very rarely promoted and discovering them was deeply difficult. These days, my TBR YA Fantasy bookstack with queer main characters is bigger than I ever could’ve imagined it becoming, and bigger than I can even keep up with reading. You’ve got super heroes and urban fantasies, dystopias and steampunks, alternate histories, high fantasy, fairy-tales and space operas. And yes, portal fantasies. And they are getting more attention in a crowded young adult marketplace than they ever have before (still not enough, but so much more…). Publishers have stepped up and sought out and promoted queer YA fantasy. And yet the same barriers to discovery exist as have always existed. Some schools and libraries are reluctant to promote books that have overt queer content. Some libraries are forbidden from promoting the books, as a recent decision by the library system in Washington County, Utah showed. Queer books exist and keep getting better, but unless they find champions in their communities, they will not find the readers who need them. Most queer teens aren’t following Kirkus Reviews or Buzzfeed booklists. I’ve been lucky. 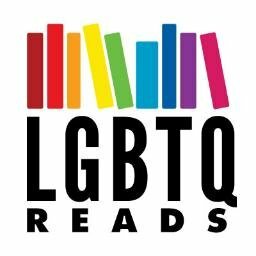 Librarians championed my first queer YA novel and placed it on a few state lists and my publisher promoted it the same way they would have promoted most other books at the time. They didn’t advertise the queer aspect very much, because they wanted the book to find its way into the mainstream sci-fi readership. In 2013, that was a gamble. In 2018, the queer hero of my first fantasy novel is being touted in every press release from the publisher because, in five short years, the publishing business has come to see that a gay hero does not limit a book to just a gay audience. The book is receiving the kind of publisher support I couldn’t have dreamed of in the past. The comp titles they’ve told me for Black Wings Beating aren’t just queer novels. They are the mainstream epic fantasies that I love, that I’ve always longed to see queer characters star in. And readers of all kinds have shown that they will judge an imaginative novel by the depth of its world-building, by the pacing of its plot, and the richness of its storytelling. A book can’t survive on queer readers alone, and straight readers are showing themselves more than happy to root for a wide array of queer heroes in their fantasy reads, and I couldn’t be happier about it. There are still challenges, of course. We’re still at the point where the success or failure of every queer fantasy novel impacts the chances of every other, where the hits open the door wider for those that come next, but the books that fail to find their audience make it a little harder for the next ones to get the marketing budgets they might need. But the trends are going in the right direction. Readers have more queers heroes in fantasy than ever before and doors are opening for authors and for stories that weren’t open in the past. As those doors open, we’re finding amazing new worlds on the other side and those worlds are queer indeed. Alex London is the beloved author of the middle-grade series, Tides of War, Dog Tags, and The Wild Ones and the young adult novel Proxy, which was an ALA Top Ten Quick Pick for Reluctant Readers and was included in their 2014 Best Fiction for Young Adults List, the Texas Lone Star Reading List, and the TAYSHAS Reading List selection, among many other state reading lists. His upcoming novel, Black Wings Beating, is an LGBTQ+ epic fantasy about legendary birds, first love, and family ties. Connect with him on Twitter @ca_london.